You are what you think about all day long. If you want to feel and look great, monitor your thoughts closely to ensure that you are thinking only positive, forward-moving thoughts. 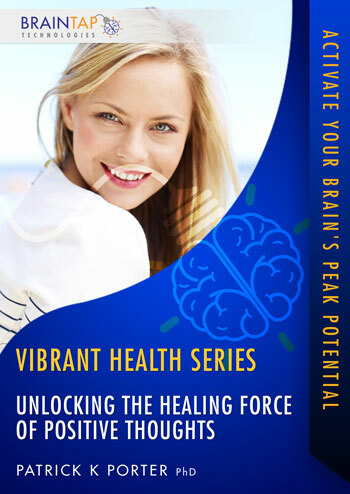 Dr. Porter will teach you a visualization technique that will help you catch negative thoughts before they can harm you and then turn those thoughts around into a positive affirmation. These positive new thoughts will allow a stream of vibrant health to flow into your life.